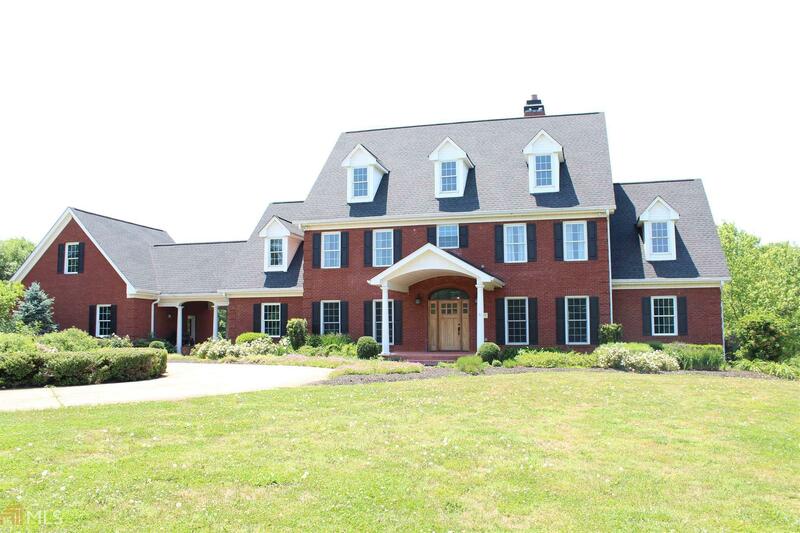 Incredible opportunity on this custom built,all brick home on 24 acres(horse farm) that includes a separate guest house.Guest house w/2/1,kitchen & great room plus (3) car garage/workshop.Mater-on-main w/luxurious master bath & walk-in close w/built-in shelving.Dramatic 2 story family room,large open kitchen & breakfast area.Separate formal LR & DR&apos;s.Vaulted screened porch.Partially finished bsmt. w/bedroom,full bath & family rooms.Large secondary bedrooms w/walk-in closets.Property is fenced & cross fenced,perfect hourse or cattle farm.Creek on property. Directions: 985 North To Exit 22, Go Right. Turn Left On Hwy 23 (Gillsville Hwy) Go 7 Miles & Turn (R) On Emory Griffin, Turn (L) On Bryant Quarter, Right On Chanell Drive To End Of Street.